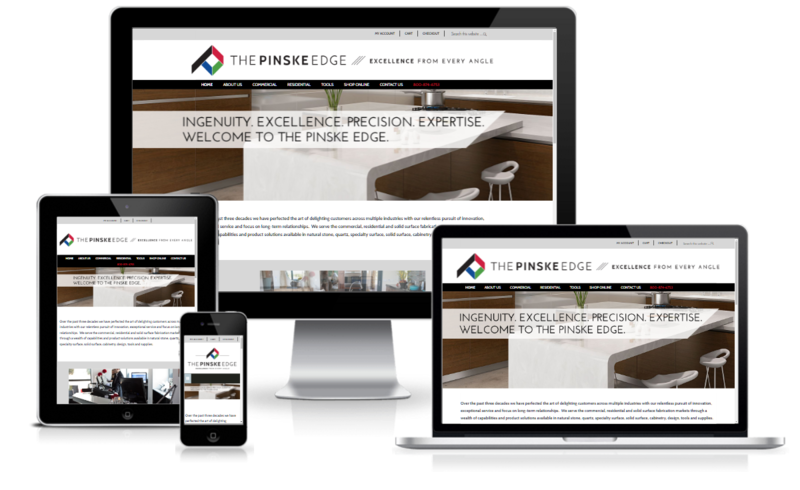 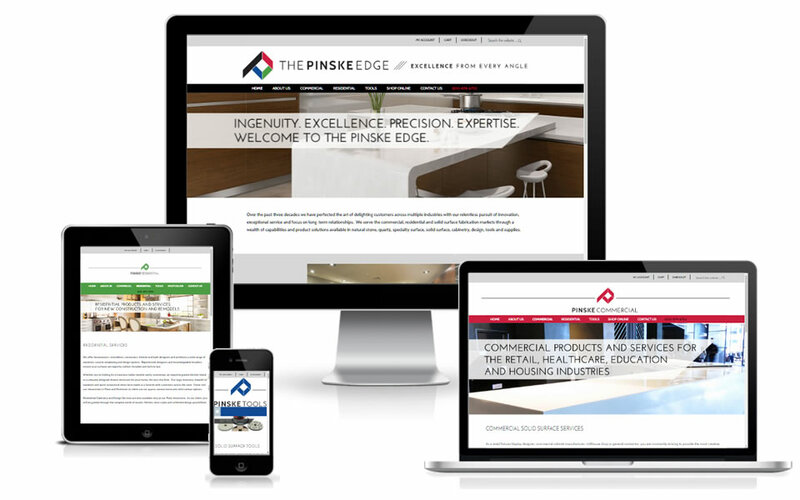 The Pinske Edge had acquired two other companies recently and in an effort to bring all the business divisions under one name/brand, we created a new website that blended them together under the main company name, along with new branding. 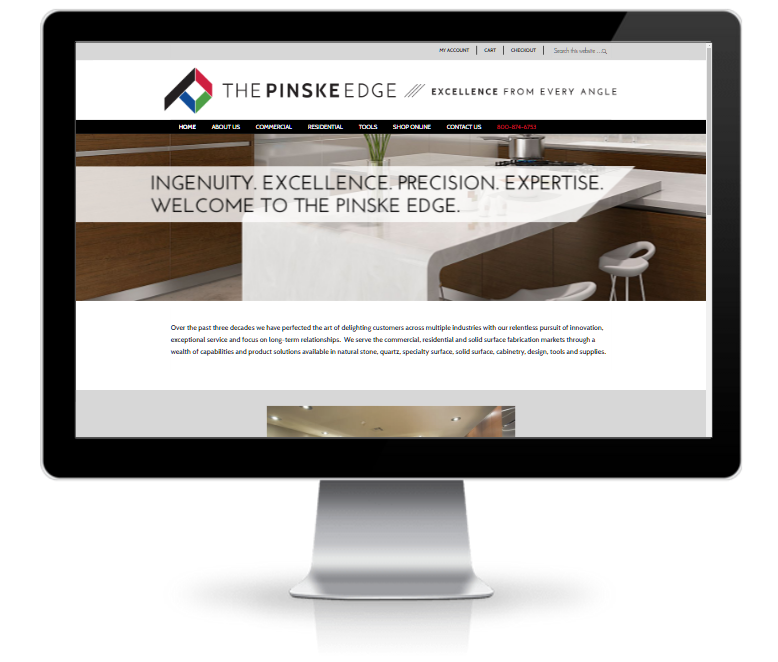 The Pinske Edge is the leading provider of solid surface fabrication tools and equipment. 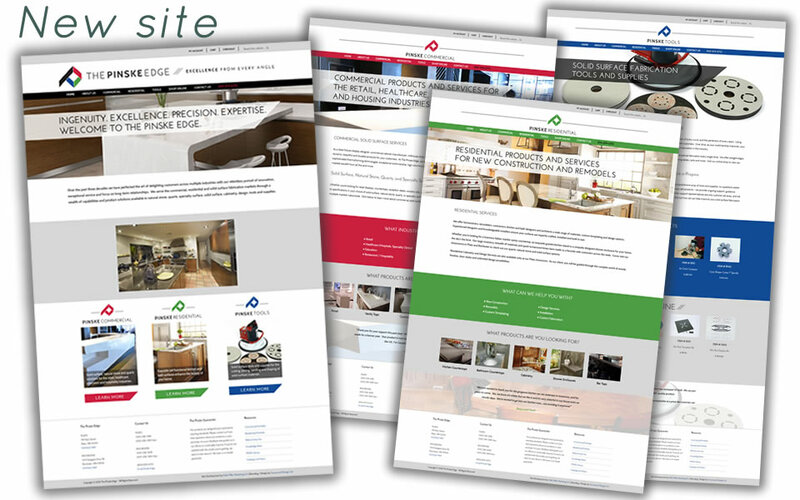 We moved their site to a WordPress Ecommerce platform that makes it much easier to manage products and orders, along with managing the content for the site overall. 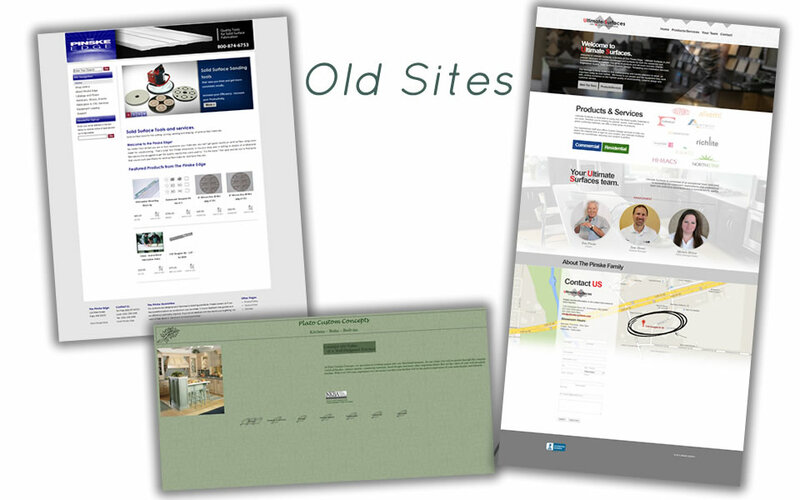 The company has three different divisions – Commercial, Residential, & Tools – so we created differentiating areas of the site for prospects and clients.